Nixxes software has released a new PC patch 1.0.237.6 (Patch #6) for Shadow of the Tomb Raider, focusing mainly on the first DLC The Forge. This patch adds new content to the game, including new mission, skill, outfits and weapons. Add Matchmaking & friend invite with the Forge of Destiny Challenge Tomb. This patch also includes new game modes and stability and functionality fixes. Fix for crashes on start up reported by a number of users. Fix for crashes reported by a number of users when accessing the side-missions screen. 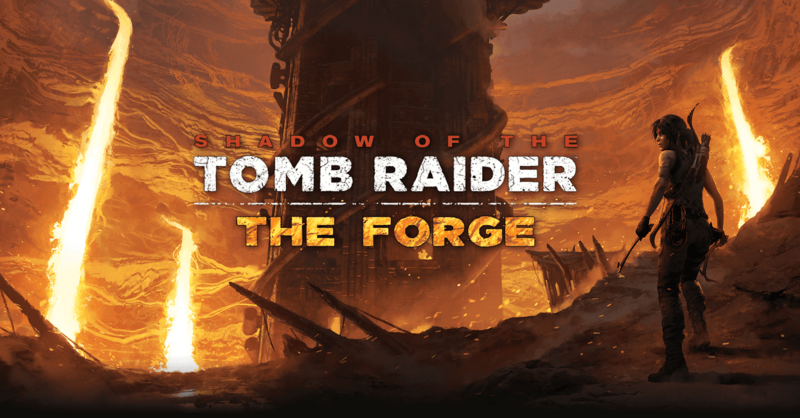 New content added by purchasing “The Forge” DLC : The Echoes of the Past Side Mission, the Forge of Destiny Challenge Tomb, new skill, new outfits and new weapons. Matchmaking & friend invite for the new cooperative gameplay functionality added with the Forge of Destiny Challenge Tomb. New Achievements added for the new DLC content. New game modes: Score Attack and Time Attack – Replay the challenge tombs you discovered in new challenging ways and get additional rewards. You are now able to switch between different audio output settings. This reenables support for Dolby Atmos. Shadow of the Tomb Raider is available for PC, PlayStation 4 and Xbox One.